Use a Web browser to reboot power on a remote device from anywhere you have internet access. Reboot any device remotely even devices not connected to your network. Easy access through any Web browser across any IP network use your corporate intranet or the Internet. Switch power on or off, or perform a timed reboot. AutoPING feature checks any IP device on your network automatically. Features Caller IP, which provides IP address filtering to ensure only authorized users access the switch. Has a built-in Ethernet hub. Connects to any 10/100BASE-T network. You don't have to hit the road just to reboot remote devices—use the Network Power Switch Jr. to reboot remote devices or to switch remote devices on or off. The switch connects to your network and features a built-in Web server so you can control it remotely through any Web browser. 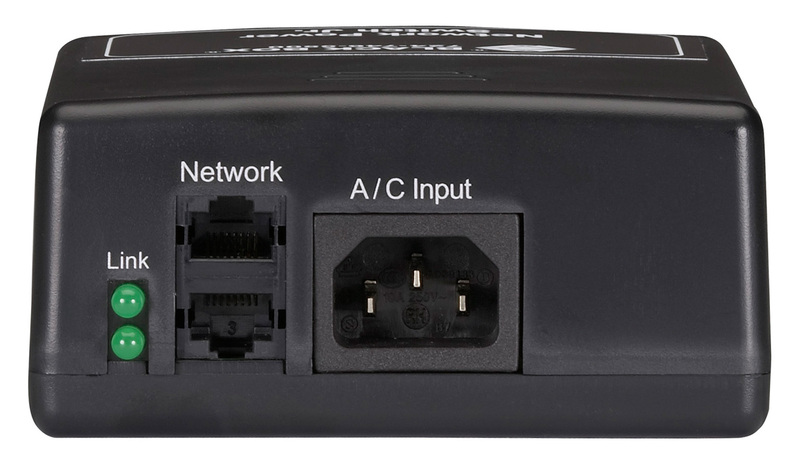 Although it's connected to your network, the Network Power Switch Jr. can reboot any AC-powered devices on or off your network. Plus, it's easy to use. Just type the switch's IP address into your Web browser, enter your password, and you have control of the power to the connected device. Because the Network Power Switch Jr. is password protected, only authorized users can get access to your devices. What's more, its Caller IP feature provides IP address filtering to ensure only authorized users access the switch. 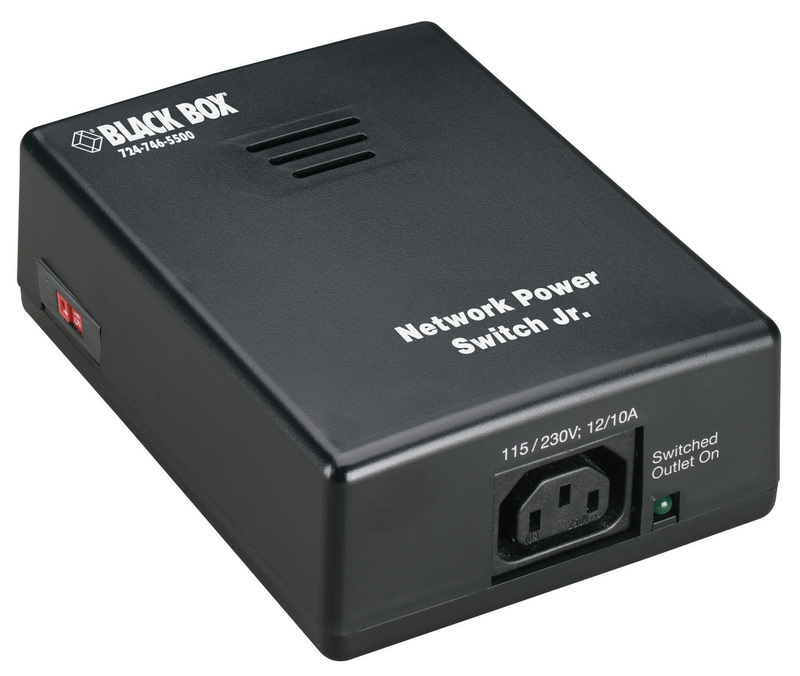 The Network Power Switch Jr. uses international standard IEC 320 connections and is selectable for 115 or 230 VAC. 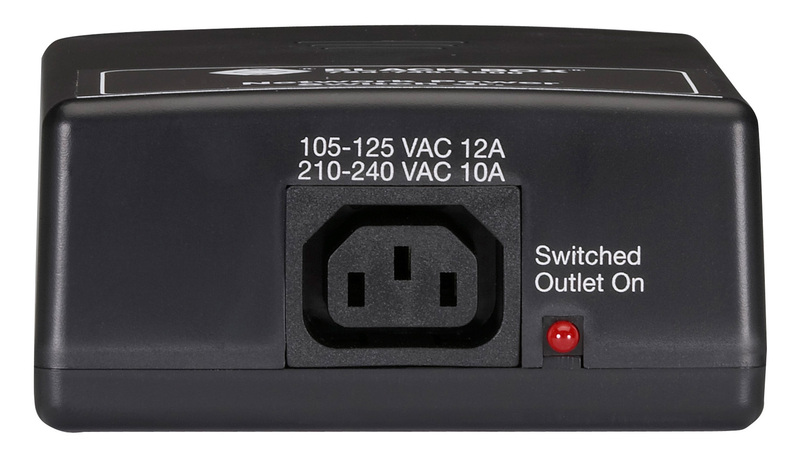 You can use it with circuits of up to 12 amps (10 amps at 230 VAC). The autoPING feature enables the Network Power Switch Jr. to monitor any IP device on your network and reboot the device automatically if it goes down. • Reboot crashed servers. With the autoPING feature enabled, the switch even reboots crashed servers automatically without intervention. • Security-sensitive servers can be kept powered down when not in use—hackers can't find a server that's not up and running. • Power down unused equipment for energy savings. • Start up emergency systems such as backup lighting. The 1-Port Remote IP Power Reboot Switch comes with a standard 1 Year Double Diamond™ Warranty (Standard) already included.